It’s been 105 years since Nestlé established its business in India. However, Nestlé SA Chairman Paul Bulcke feels the company is “under-represented” in the country and says it has immense scope for expansion in one of the fastest growing economies of the world. Over the past 5-6 years, Nestlé—which operates in the country through Nestlé India, its listed subsidiary with a market value of close to ₹75,000 crore as on November 21—has invested around $500 million to expand capacity. In an exclusive interview with Forbes India during his visit to New Delhi in November, Bulcke, 63, says further capital investments to grow its presence in India will be a continuing priority for the 151-year-old company, headquartered in Vevey, Switzerland. Nestlé, the world’s largest food and beverages company with annual sales of $90 billion in 2016, has faced some serious challenges in India. Its biggest crisis was in 2015 when a controversy erupted over the quality and safety standards of Maggi, its popular brand of instant selling noodles and one of the FMCG major’s highest selling products in the country. Some state governments banned the product and a voluntary recall thereafter not only affected Nestlé’s goodwill but also had an adverse impact on its financial performance—its revenue dropped by 17 percent to ₹8,123 crore in the calendar year 2016. 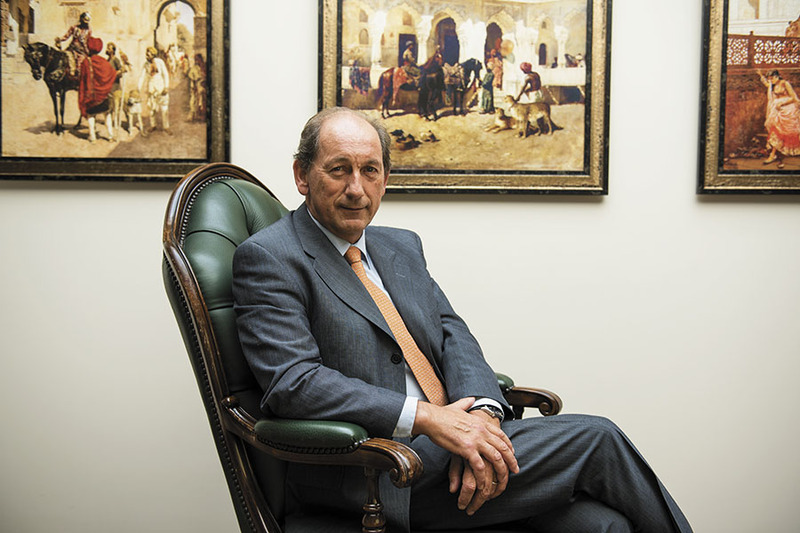 Recalling that period, Bulcke, who was CEO of Nestlé SA then, calls it “a strange situation, where nobody was at fault and yet we were in trouble”. He says Nestlé India was always confident of its product quality and did well not to “leave the consumer alone” even when Maggi went off the shelves. This helped regain their trust and re-launch the product successfully. Q. How do you assess the situation with respect to food processing in India? When it comes to food security and safety, there are definitely challenges in India. Despite favourable conditions for food production and richness in terms of agriculture, only around 10 percent of the food in India is processed, which leads to a lot of wastage. In other countries, as much as 75 percent of the food is processed in some form or the other. But that also means that the potential upside for food processing in India is huge. There are complexities in terms of infrastructure—warehousing, logistics and roads—that need to be managed. Also, food safety and quality are issues close to Nestlé’s heart. We are a pre-eminent food and beverages company that is all about nutrition. Our purpose is to enhance the quality of life through nutrition and contribute to a healthier future. We are a part of this ecosystem and want to play an important part. We started a factory in Punjab around 60 years ago and engaged with the community there to create a ‘milk district’. We helped form cooperatives and showed them how to work with technology like cooling stations. This has helped productivity increase from 2 litres of milk per cow to 8-10 litres. And the quality of milk is such that we can pay the full price for it, which means that the farmers can earn more money. Also, any milk district sees around 20 percent of its produce wasted. However, by streamlining the production and collection processes, we have brought this down to 2 percent. This is the best example of creating shared value. Nestlé runs eight factories in India and “there can be more”. Q. Do you see greater scope for Nestlé to increase the level of food processing in India over and above what it is already doing? Definitely. We are more than 100 years old in India. Whenever we engage in a country, by the very nature of the business of food that we are in, we bring in our best global practices and knowledge and adapt our offerings to local tastes, preferences and habits. We have eight factories in India and there can be a lot more. We will look to expand and see if we can help create other milk districts. We are just beginning a new chapter of development in India because we believe that Nestlé is perhaps a little bit under-represented in India, compared to where we want to be. We are certainly going to invest more. The country is growing and we want to be a part of this growth. We have invested half a billion dollars over the last few years to upgrade technology and expand, and we will continue to invest. We don’t work in phases. Investments are an ongoing plan for us. We are looking to invest in new areas where we are relatively small in the country. Q. What are some of the areas in which you would like Nestlé to grow further? We are targeting infants and children with the First 1,000 Days programme—an area where more can be done in India. This is linked with some of our product categories like milk, infant cereals and baby food. I feel there is a lot of upside possible here and we are seeing how we can bring quality products that are also affordable. We are trying to evaluate how we can deliver more vegetables to children through our products. Coffee is another category where we plan to help, with the development of local plantations, through a concept similar to milk districts. So much more can also be done with noodles by factoring in the variety of spices, flavours and ways of cooking that can be found in India. The ready-to-drink products is another area we would like to develop. For instance, we have launched the MILO ready-to-drink energy beverage, which is fortified with nutritious elements for children, with 40 percent lower sugar content than some other products in this space. I have high ambitions for India. This is a country of over 1.3 billion people and there is much more to be done to create healthy offerings. There is compatibility of ambitions and so much harmony between Nestlé’s purpose and India’s goals; we want to be an active part of this journey. Stable economic growth, even at lower rates, is better than sudden spurts. Q. What were some of the key lessons for Nestlé from the Maggi imbroglio? I think what was challenged in that situation was trust—the consumers’ trust in us and the mutual trust between different stakeholders, including various government departments. That was really unfortunate. All of a sudden, we weren’t connecting with the consumer. Eventually, we had to call it off [withdraw Maggi from the shelves] and say, ‘Let us first win back the customers’ confidence again’. Most importantly, we always maintained that our product was safe and this was proved through tests. So we didn’t fail the consumer in that sense. But we failed somewhere in securing a connection with them. It was a strange situation. Nobody was really at fault, but we were still in trouble. There was some confusion and we decided to let that clear before we came back to the market. It hurt, but that was the responsible thing to do. But what we did well was to never leave the consumers alone. We focussed on building trust with them and maintained our connection. I came here and we faced the situation directly. It wasn’t easy, but we spoke authentically and honestly. Now we are back with full confidence. Maggi is doing well and we are continuing to grow. Q. Nestlé appointed Suresh Narayanan to lead its India operations during the Maggi crisis. How do you evaluate his leadership? Suresh has shown good leadership skills and carried the whole team along with him. He understands the country. Solving the Maggi issue was part of his job, but not his only job. At Nestlé, a leader is only as strong as his team. I think Nestlé’s team in India, led by Suresh, has done a fantastic job. One of the reasons that I have come down to India is to congratulate the team. The management structure in Nestlé is quite decentralised. The business of food, along with its components such as supply chain, are local in nature. The leader of any of our markets needs to take an independent call on how Nestlé’s presence in that country shapes up. We have a global strategy and brand positioning guidelines. But it is the combination of this global strategy and innovation and local execution that makes Nestlé unique. Q. There is a growing global demand for food companies to shift towards healthier offerings and reduce sugar content in their products. What are your views on this? Sugar is readily available calories. Until 20-30 years ago, it was seen that there was a direct correlation between calorific intake and life expectancy. Then the correlation started diverging wherein life expectancy remained flat despite higher calorific intake. This is also when we, as a society, started moving towards a more sedentary lifestyle. Food and beverages companies have to figure out a way to deliver the enjoyment associated with food, but with lesser calories. This is a space in which we invest quite a lot. How do we reformulate our products with, let’s say, empty sugar crystals, which give the perception of sweetness but with fewer calories. Or how do we develop a salt profile, where the salt isn’t absorbed by the body. Q. What role does digital transformation play in a company like Nestlé, which is more than 150 years old and traditionally into manufacturing? Digital is a trend that is going to shape society. Companies like ours obviously need to be linked to social media. Maggi is where it is thanks to digital, which allowed us to maintain a continuous dialogue with our consumers. I think only those companies are going to be successful in the digital era which can figure out how to link the digital and the virtual with the physical. For us that could mean using technology to establish traceability of products or monitoring our milk districts, cooling stations and factories remotely. Q. India recently gained 30 places and ranked 100th in the World Bank’s Ease of Doing Business index. What are your views on the present business climate in India? India is a complex country with over 1.3 billion people and a federal structure. But there is a lot of upside if the people and policies are aligned. The government is aware of that and is doing something about it. So certain decisions are being taken, like with taxation, which lead to transparency. This has helped India improve its position vis-à-vis ease of doing business and kudos to the government for that. But there are still many more positions to gain and consistent policy making and implementation will help. I also feel that stable economic growth, even at a slightly lower rate, is better than sudden spurts. Economies and societies are like adolescents. If they grow too fast, they tend to become clumsy.